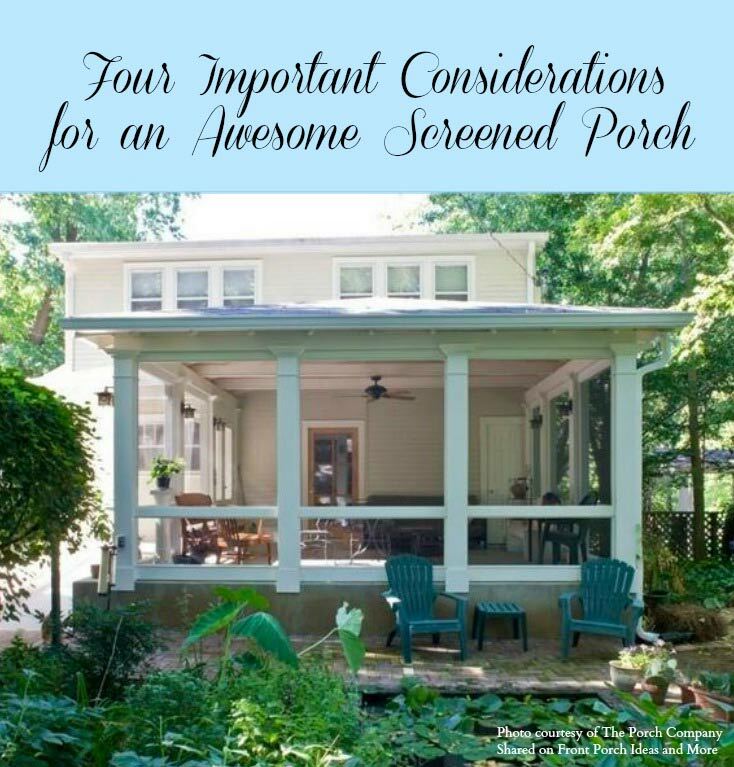 Screen porches are envied by many. We are excited for you because we know how much fun it is to dream and then create an awesome outdoor space for you and your family. 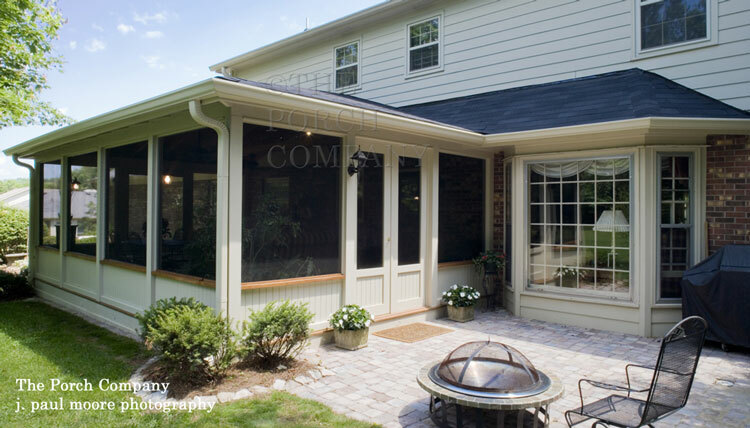 Adding a screened porch to your home equates to extra living space plus a lovely outdoor room. Enjoy these pictures of custom porch enclosures and our tips for designing, building, furnishing, and enjoying your own enclosed porch. 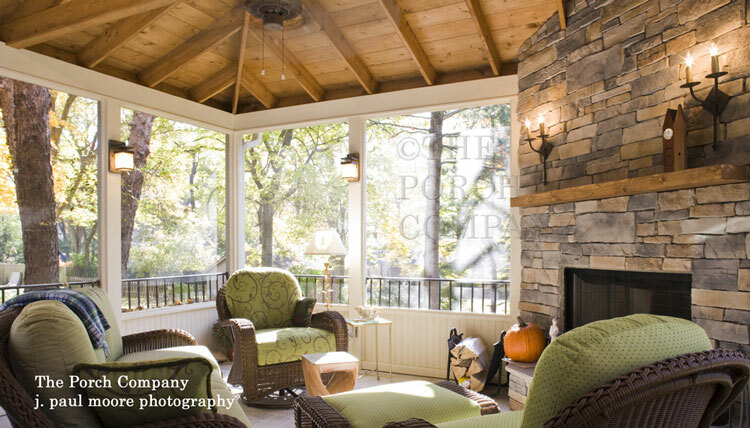 The Porch Company is one of our fine sponsors and we are proud to provide some porch inspiration with you. So sit back and gaze at these amazing screen porches. 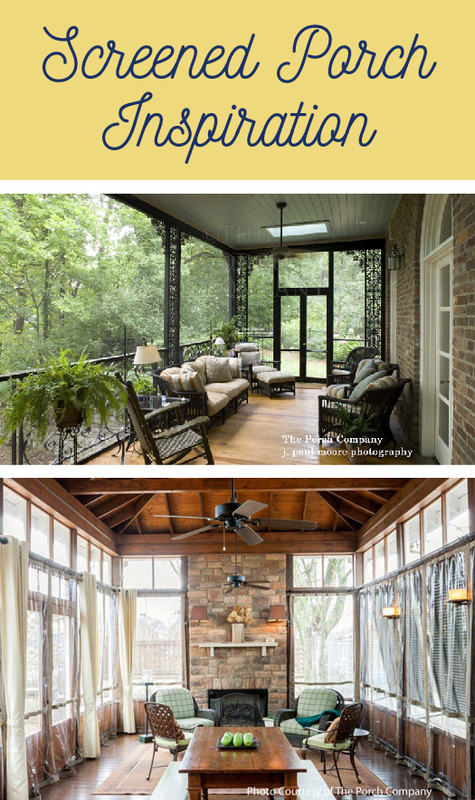 Do you have a screened porch in your future? 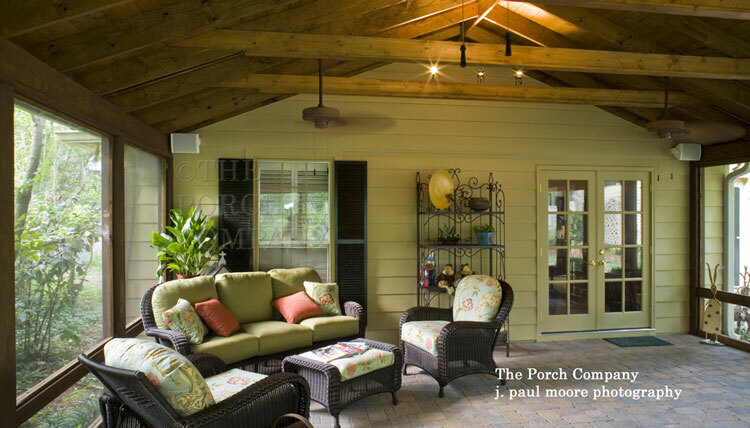 We teamed up with Nancy Moore, founder of The Porch Company of Nashville TN, a full service design / build company who creates beautiful custom porches. 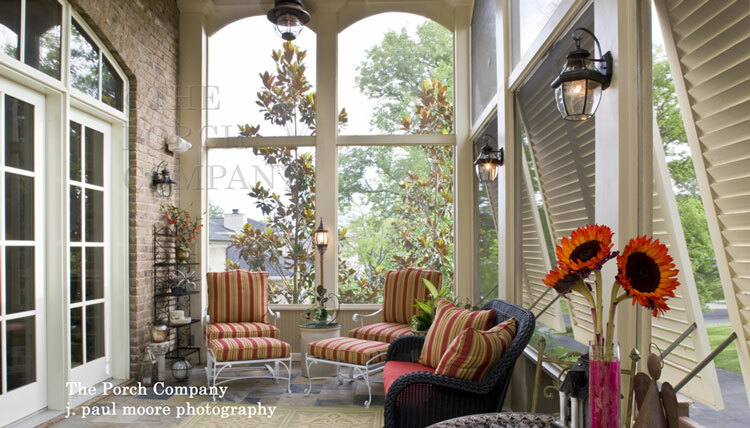 Their wonderful photographs you see here will give you a glimpse into the beauty of a "Porch Company" porch. 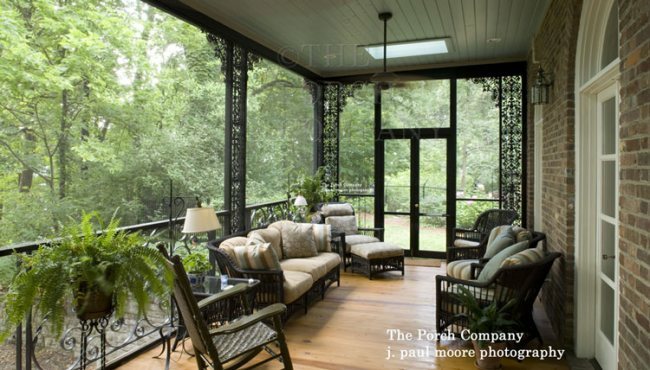 Just about anyone who has a screened porch will admit their love for it. In fact, Mary and I purchased a home once just because of the screened porch. And we loved and enjoyed that porch so very much. Our friends and family loved our porch, too. Can't even count how many times we had friends over to visit on our enclosed porch into late hours in the evening. 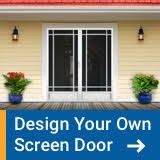 Realtors have told us that screen porches make a home easier to sell. 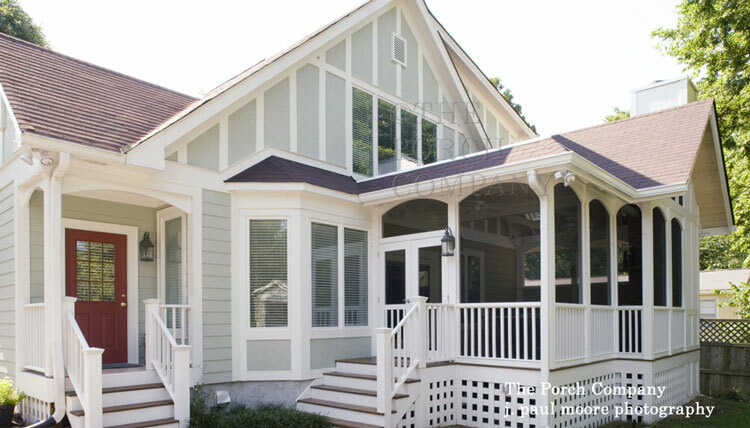 What better way to find enclosure ideas for designing, furnishing and decorating than to see actual custom-built enclosed porches. 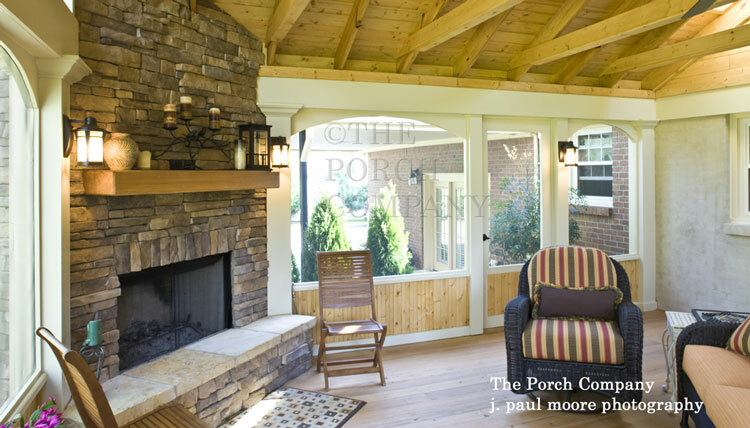 Enjoy these amazing photos of custom porches from The Porch Company. 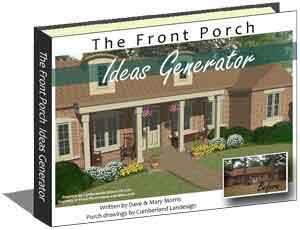 Have pen and paper ready to make a list of all the features you want in your porch. 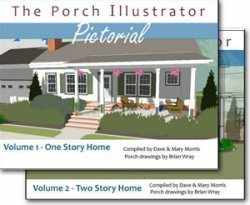 We also invite you to watch our interview with Nancy as she shares her best tips for planning the perfect porch. 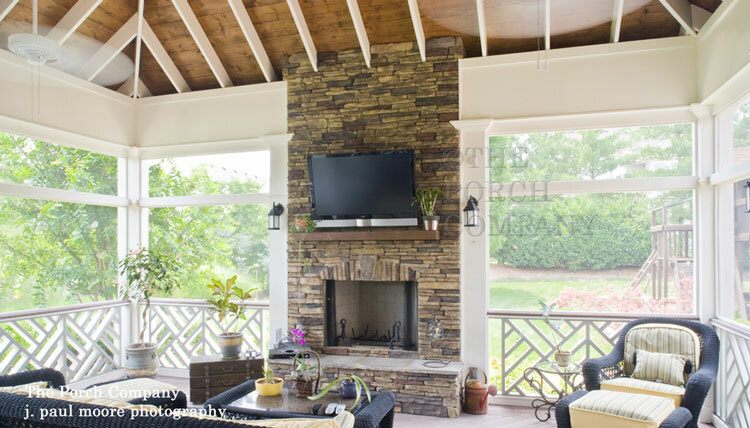 The white painted ceiling joists, tongue and groove ceiling, along with amenities such as the stone fireplace and TV, make this a most welcoming screen porch design. Wide-plank flooring, aluminum balusters, and sconce lighting are just a few of the construction details you might want to consider for your enclosure. 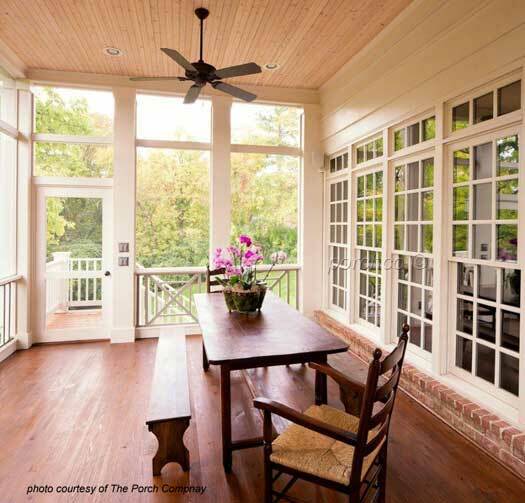 Almost everyone loves their screened porch but if asked, most people wish it were roomier. If economically feasible, make your porch as large as possible keeping in mind it should be aesthetically pleasing and architecturally complementary to your home. Knowing how it will be used and by how many people will help you determine the optimum size. 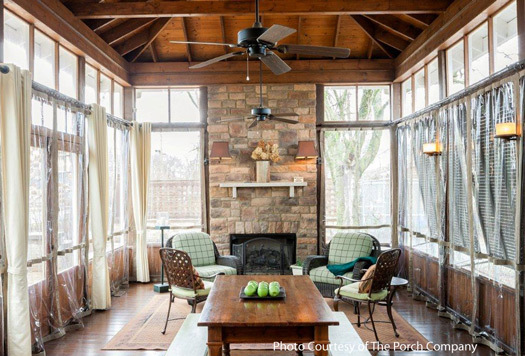 Keep in mind that smaller porches can still have many of the amenities as larger ones. Use our handy enclosed porch guide information below to assess your needs. 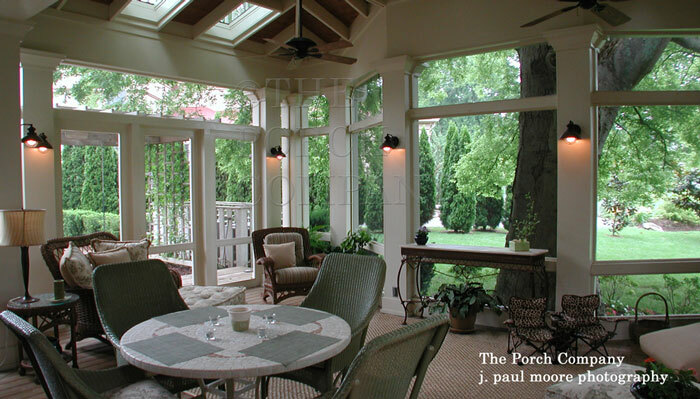 The location of your enclosed porch is often determined by the presence of an existing porch, deck or patio you have. However, if you have the option, choose a location that not only has limited sun in the afternoons but also takes advantage of refreshing breezes. And don't forget about your view. A pleasant view makes for relaxing, happy times on the porch, too. We realize it's not as much fun - but don't forget to consider issues like zoning, set backs, and possibly Home Owner Association requirements. Before you start, see more of our ideas for locating your screened porch. Screen porches are basically frames with screens in addition to supporting posts and roofs. With subtle changes in materials and framing, plus wonderful craftsmanship, you can create one-of-a kind looks. 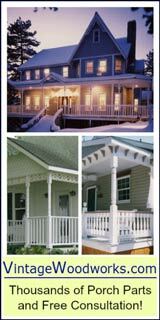 By studying these beautiful architecturally designed porches you can get plenty of inspiration for your own porch. Skylights can make any size screen porch more pleasing to the eye. They add additional light as well as enhance the porch's overall open feel. The arched screen frames and double doors (another unique design feature) soften the overall appearance of the porch and give it a more dramatic look. Also note the bead board knee wall and bead board on the bottom of the double doors. 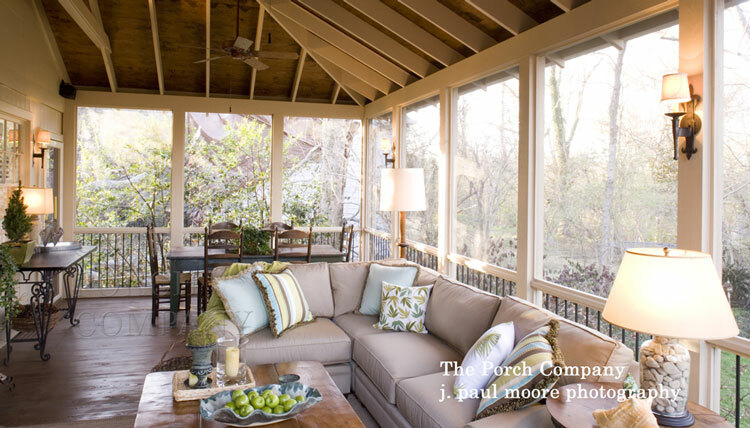 What other reason to build a screened porch than to enjoy the outdoors? So we like the idea of extending porch time as long as possible. So when we saw the All Season Porch Curtains from the Porch Company, we thought we'd show them to you. These curtains block wind, rain, pollen, and other debris to keeping you comfortable and your porch clean and dry. Imagine in the middle of November being able to enjoy your porch. These curtains are currently only available locally from The Porch Company. Beadboard ceiling and stone fireplace give this addition a natural feel. 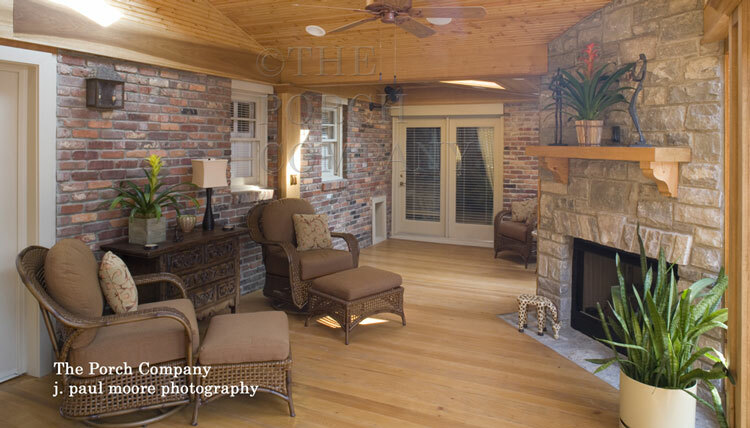 We like the cobblestone flooring and wooden beams on this porch addition. Notice the lighting and speakers, too. The wood and beam exposed hip roof is a great way to make your inside space seem more expansive. Mary and I also really like the framing detail at the top of the screen panels. Mary and I love the bead board ceiling and outdoor ceiling fan. The window grids give this screen porch lovable country charm. Exposed rafters and a gorgeous stone fireplace hearth. We are pretty sure you love porches like we do. 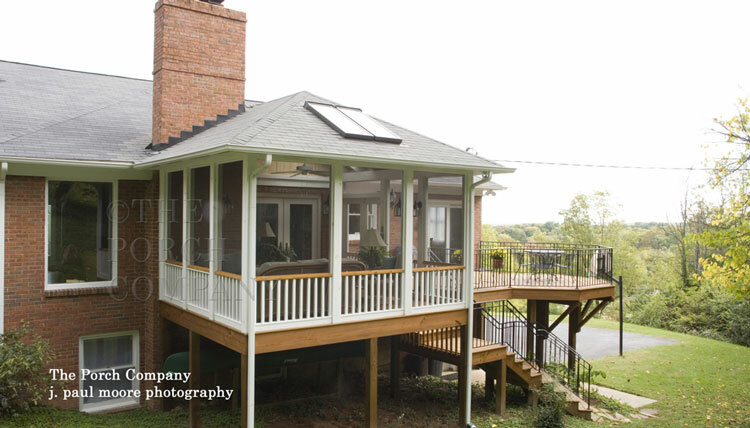 The photo above is a very good example of a typical deck that has been converted to a screened porch. Adding a deck adjacent to your screen porch is easy to do and adds more functionality to your outdoor living area. We really like the separate open deck area adjacent to the screen porch for seasonal grilling and star gazing. An adjacent deck works well no matter the size of your porch. Note how the black aluminum railings give the deck a more open look. The skylights not only let you see the stars at night but also allow more light into the home during the day. Keep in mind skylights can be added to almost any porch roof, no matter the size. You can easily convert an existing porch, deck, or patio into an enclosed porch. If built correctly you can even convert it to a three season room to extend your outdoor pleasure. 618 Vernon Ave., Nashville TN 37209. Their phone number is 615-662-2886. It all began when Nancy Moore, after working for 9 years at IBM, decided to turn in her blue suits and pumps to pursue a career in construction. 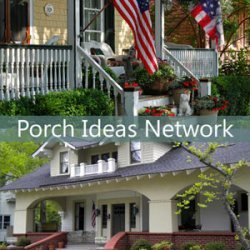 So she bought an old house, began remodeling and soon after decided to focus on porches...and The Porch Company was born. 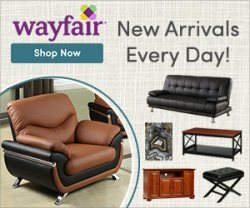 Working from their custom design or your existing plan, they use a combination of techniques that combines old-time craftsmanship with the best of modern technology and materials. 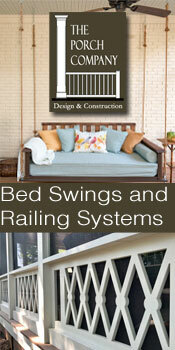 Want a beautifully designed custom screened-in porch? 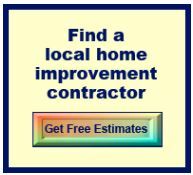 Contact The Porch Company today. J. Paul Moore is a freelance Photographer and recipient of the Silver Media Award for magazine photography. 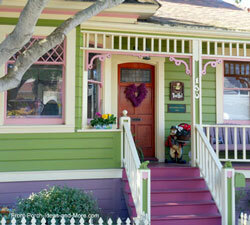 Photo credits include American Gardener, Backpacker, Country Home, This Old House and many more. Visit J. Paul Moore Photography to see his beautiful nature, gardens, and architecture portfolio. We had the wonderful opportunity to interview Paul, a self-professed lover of nature, about landscaping around the porch.